Each panel is 45" long or 1.25 yards, so please order in increments of 1.25 for one panel, 2.5 for two, 3.75 for three, and so on. 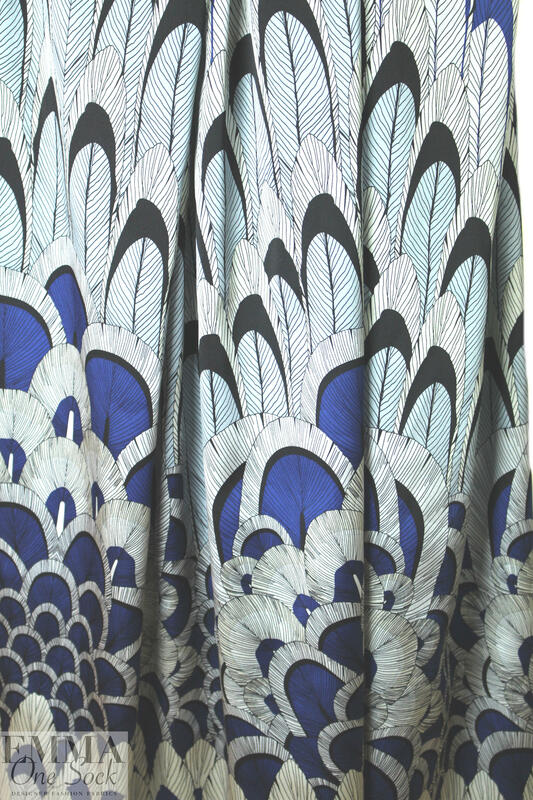 From Italy, this is a beautiful quality printed silk stretch woven with a micro twill weave 20% widthwise stretch, drapey and soft with a matte finish, light weight yet opaque. 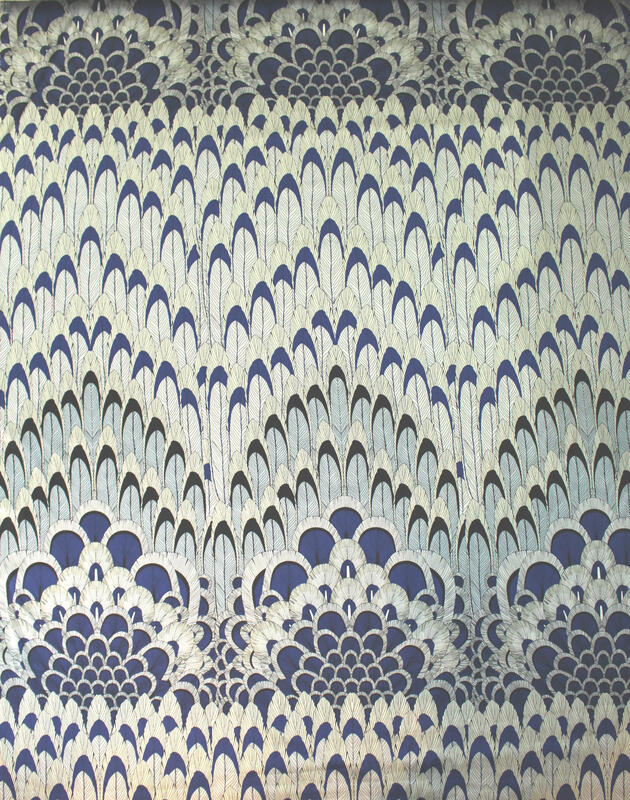 The feathered scallop print is so fabulous, with three border motifs across the width of each panel. The entire panel is shown in the second photo. 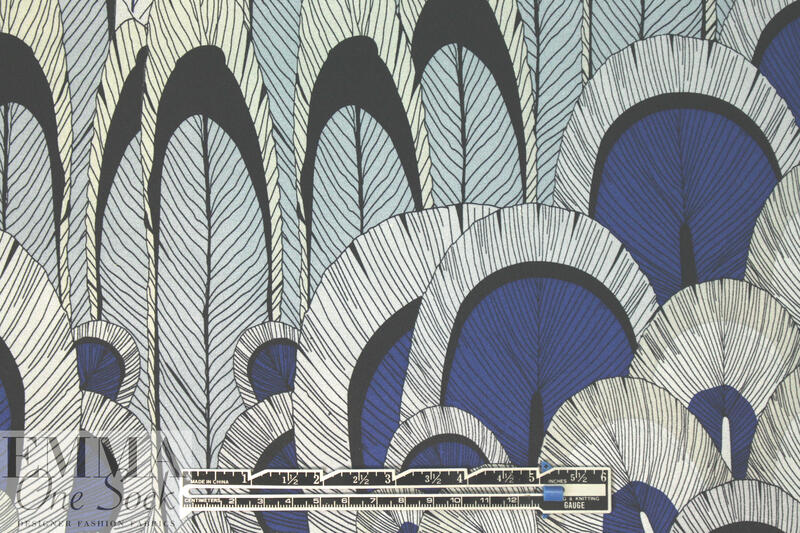 The colors are royal blue, silver, white gold, black and light blue (PANTONE 19-3950, 14-4203, etc.). 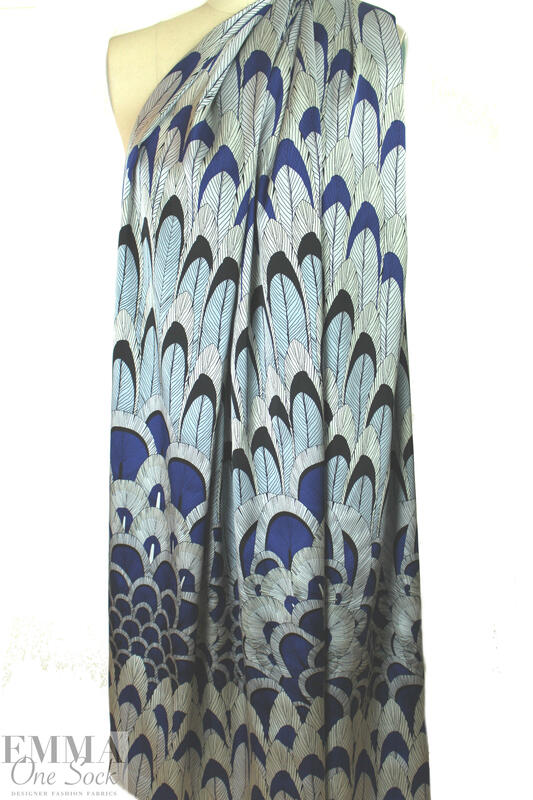 It is a fabulous choice for top, tunic, dress, kimono... or a lining for a lightweight stretch woven jacket or topper coat, etc. Dry cleaning recommended.